Brand new Legacy Aviation ball caps are now available! 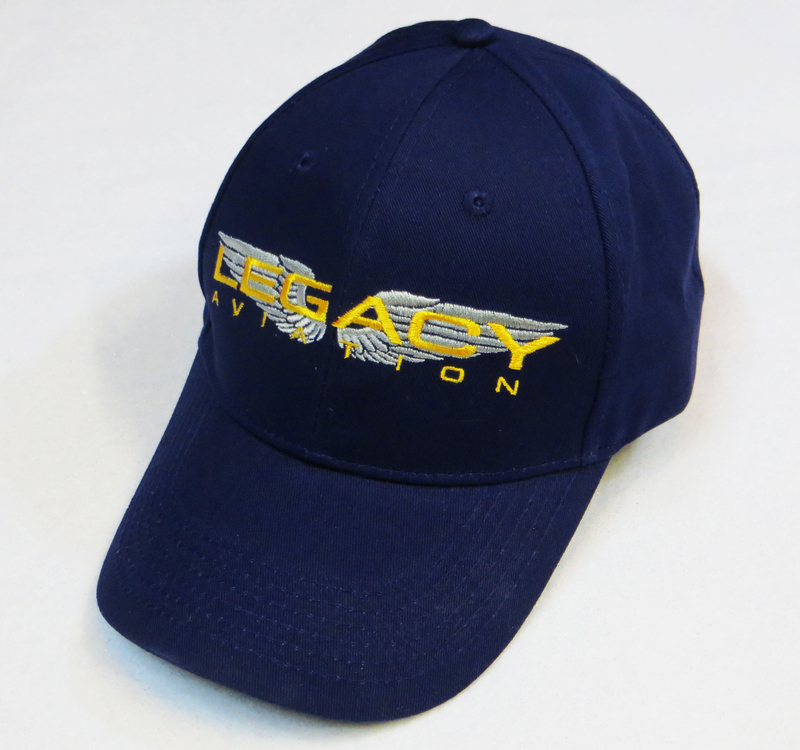 Stylish and comfortable, this handsome Navy Blue ball cap features the Legacy Aviation logo in Silver and Gold. Adjustable Velcro strap fits most head sizes. Great price too!